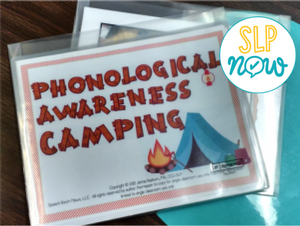 Confession: I have A LOT of speech therapy materials. I also “inherited” a very full speech room. 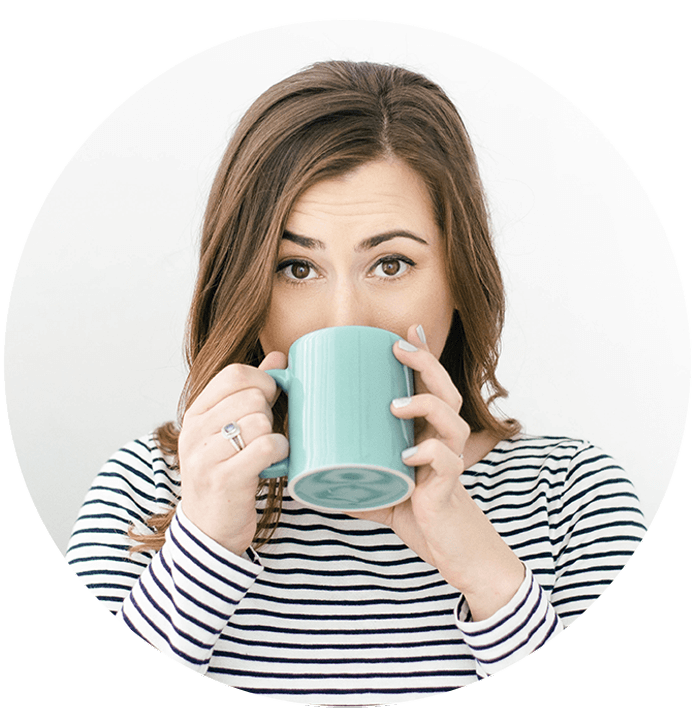 I’ve spent a lot of time trying to organize all my “stuff,” and I’m excited to share some of my favorite tools with you! My most frequently used therapy rewards and visuals get pinned on the wall. I bought this fun box from Michaels, and I use it to keep miscellaneous TPT products. Don’t forget to look for Michaels’ awesome coupons. I got mine when it was 60% off! 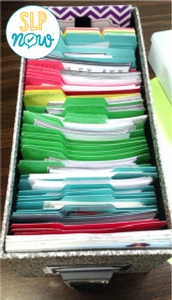 I also found this index card organizer at Staples, and I use it to store TPT products, as well. I found these little guys at Joann’s. It doesn’t look like they are listed on their website, but they were only a few dollars. Perfect size for Cariboo cards! I also store some cards in envelopes. I put these envelopes in a photo box. A shoe box would be perfect, too! 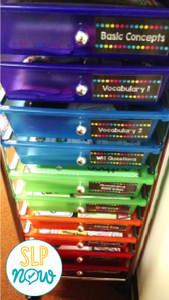 Last but definitely not least… This drawer organizer. 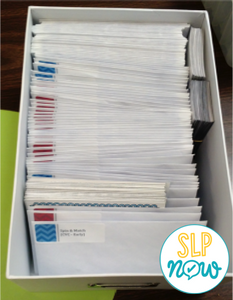 *swoon* This is my favorite way to organize my TPT cards. It’s so pretty and makes prepping for therapy a breeze. 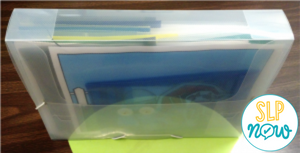 I also use these plastic document files and poly envelopes to store bigger materials. Here are links to some of the products I mentioned above! 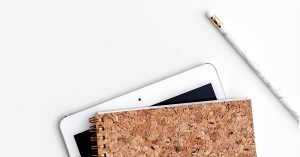 Check out this video for a closer look at some of these organizational tools. I mentioned HP Instant Ink in my scope, and it is an AMAZING way to get ink without a huge price tag. Perfect for printing all those TPT materials. <3 Here is a referral link for you to get ONE MONTH FREE! Click here! * Marisha McGrorty is a participant in the Amazon Services LLC Associates Program, an affiliate advertising program designed to provide a means for sites to earn advertising fees by advertising and linking to Amazon properties including, but not limited to, amazon.com, endless.com, myhabit.com, smallparts.com, or amazonwireless.com. Are you kidding me? This is AH-mazing. It's exactly the kind of inspiration I need to get my materials inventoried, organized, and accessible. Thanks for sharing! Aw thanks, Kari! I'd love to see what you come up with! Hey! This is SO great! Thank you! Quick question: are the “why question” circles (in the third picture) available to download? I’ve searched but came up empty handed. Thanks, Maggie! The Speech Summit makes a TON of different circles/rings. “Why questions” are included in this product: https://www.teacherspayteachers.com/Product/WH-Question-Language-Rings-1656656. Check out her store for more language and articulation rings! Do you have editable labels that you’re using for your drawer cart available for purchase? I don’t at this time, but I am working on a new set of labels! I love all these organization tips. Organization is a challenge for me. 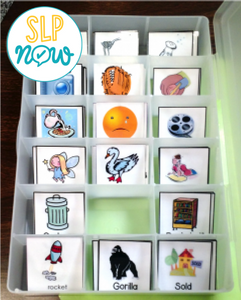 I love your ideas for organizing my speech world. Thanks so much! 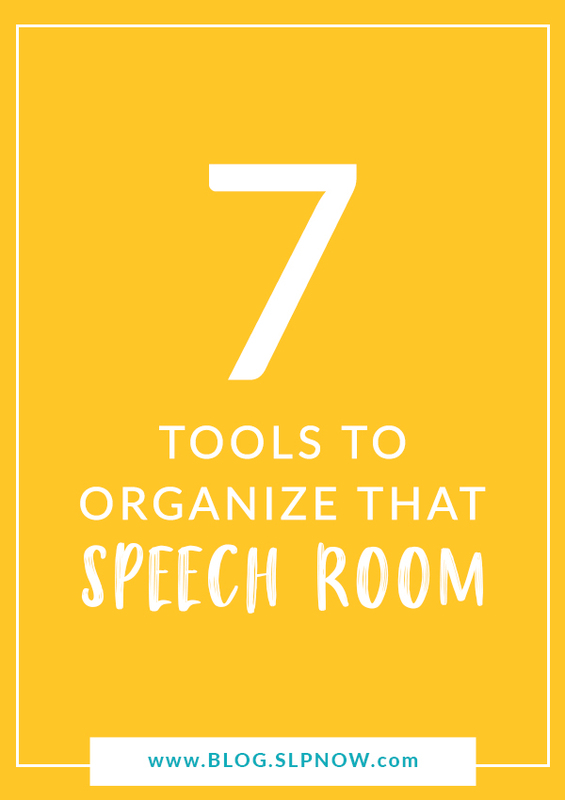 I adopted many of these organizational tools for my speech materials. 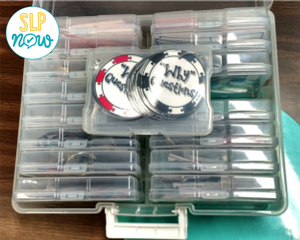 This included storage ideas that I had not thought of and it makes it so much easier not only to store but also to retrieve easily when I want to pull something for a session. I’m slightly addicted to the small craft boxes for Cariboo Cards and other small items. Thank you!! Your organization skills blow me away! 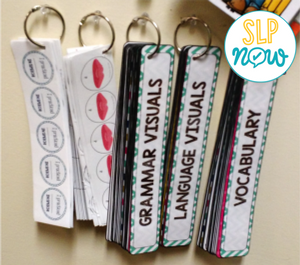 I wish just for a minute I could buy something from TPT or download one of your resources from SLPnow and actually print/laminate/cut out the entire thing and have it ready to go… but I don’t, so I end up never using my materials. It’s so frustrating. Your materials and storage is inspiring!